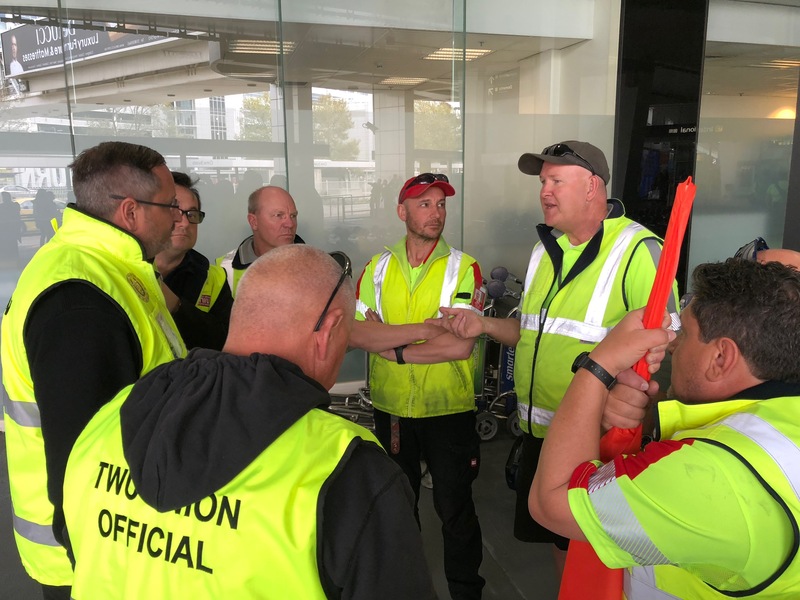 The TWU held protests across Australia today as part of a global day of action being taken by aviation workers enduring poverty wages, poor conditions, increased casualisation and high turnover. Protesters also demanded an end to forced part-time hours that see workers rostered to work as few as three hours a day and just 60 hours a month. A TWU report released to coincide with the protests linked these factors to security and safety breaches. It found some aviation companies have almost their entire workforce on part-time hours. 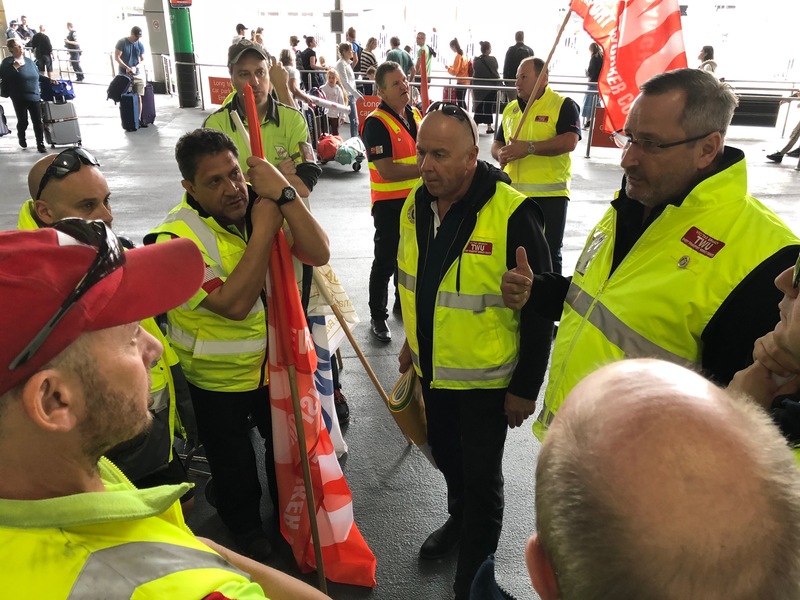 The TWU is calling on the Federal Government to mandate that airports and airlines take responsibility for labour standards in their supply chains. 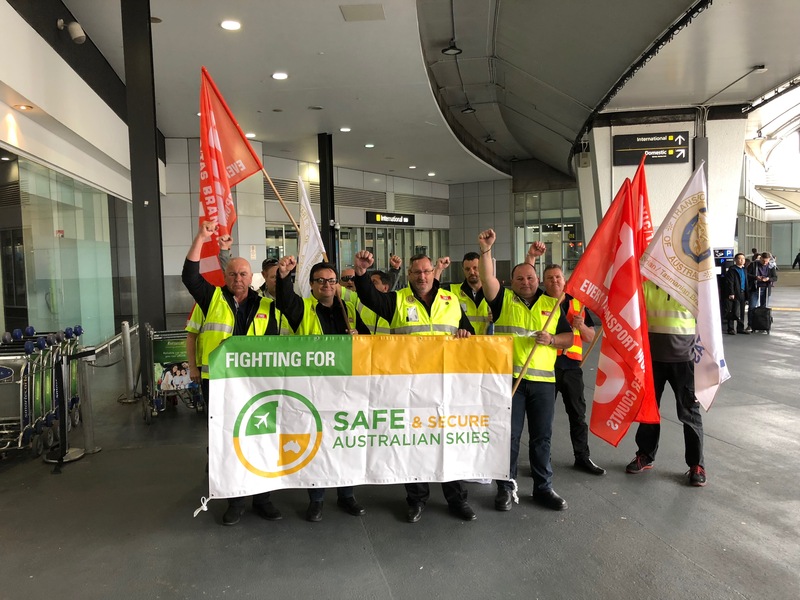 TWU (Vic/Tas Branch) Secretary and TWU National Vice-President John Berger – who attended Melbourne’s protest – said something is clearly broken when airports and airlines are reporting record profits but workers are struggling to pay the bills. “The Federal Government must stop this race to the bottom in aviation,” he said.